A decade after he was battling the likes of Rory McIlroy for amateur supremacy all over Ireland, Banbridge's Connor Doran is back chasing silverware again in the McGinley Motors sponsored Rosapenna Senior Scratch Cup. The former international carded level par rounds of 71 and 72 over the Old Tom Morris and Sandy Hills Links respectively to take a three-stroke lead over Ben Best, Alan Lowry and Colin Fairweather into Sunday's final round. Recently crowned West of Ireland champion Dermot McElroy is five shots off the pace after rounds of 73 and 75. Alan Lowry does not believe that being Shane Lowry’s brother is a burden, no more then he’s fed up being the son of an Offaly All Ireland title winning legend. Jordan Hood is tied for 10th place but fellow Maynooth University team mate Ronan Mullarney was the only other Irish player to make the 54-hole cut in the Portuguese International Amateur Championship. 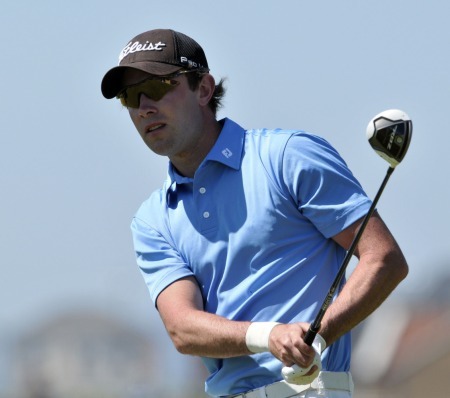 Opportunity knocks for Nicky Grant in the North of Ireland Championship. Picture by Pat CashmanWho said golf was meant to be fair? Take Ballymena’s Dermot McElroy, who led the qualifiers for the North of Ireland Championship thanks to a nine under 63 on Tuesday only to be sent packing in the opening round less than 24 hours later.